Are you in the US? 50 hz is a European standard and they normally use 220 volts. The 50 hz would probably work but but you would have to provide 220 volts. There are all sorts of name brand routers on eBay for low prices that are designed to work with 120VAC 60 hz. Why not just buy one of those instead. By the way, I don’t think you meant to say 2.5 rpm. Did you mean 2.5 horsepower? It will run faster, which may or may not be ok depending on the motor design. As an alternative, you can get an incline motor out of an old treadmill which would work great. 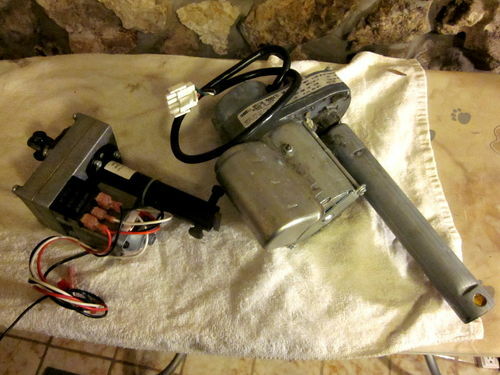 They are typically ~1/10hp deals that run on 120v (60hz), and already have the gear reduction acme screw and receiver that just needs to be attached to whatever you want to move. Are you in the US? 50 hz is a European standard and they normally use 220 volts. The 50 hz would probably work but but you would have to provide 220 volts. There are all sorts of name brand routers on eBay for low prices that are designed to work with 120VAC 60 hz. Why not just buy one of those instead. By the way, I don t think you meant to say 2.5 rpm. Did you mean 2.5 horsepower? He is wanting a motor to raise the router, hence the 2.5 RPM. Even at this speed something like this is going to be hard to control the height, what is needed is a stepper motor that will turn a specified number of turns so it raises/lowers the router an exact amount.